Monopods are one-legged tripods (mono = one; tri = three). They’re nowhere near as stable as tripods, but they do have a few advantages. Sports and wildlife photographers, in particular, love monopods. Camera gear is heavy. A DSLR and lens usually weigh between five and ten pounds. That might not sound like a lot, but try holding that much weight extended in your hands for an afternoon, and you’ll see what I mean. With long lenses, things get even worse. 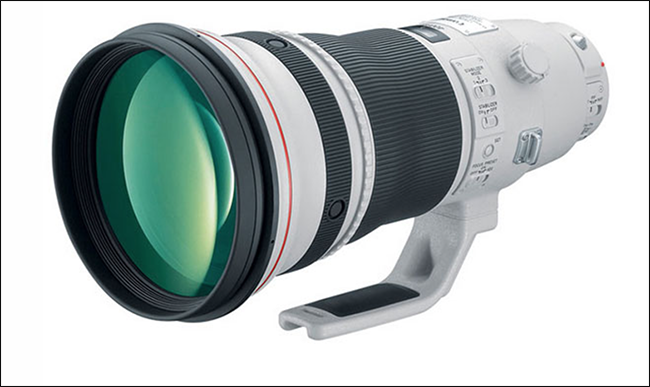 Some setups with telephoto lenses and professional DSLRs can weigh over 15lbs. The problem is that camera gear’s weight doesn’t just make it a pain to carry around; it also affects how you shoot. Taking one or two photos with a heavy setup is fine, but if you’re shooting an event like a sports game or waiting for something like a bird to land, you need to have your camera always be up and ready. Unless you’re built like Arnold Schwarzenegger, that’s just not going to happen. A tripod is the traditional way of supporting a camera. They’re great for locking your camera down, but they take up a good bit of space and reduce your mobility. You aren’t able to react quickly with your camera stuck on a tripod, which is not ideal if you’re standing beside a football field or trying to track a fast-moving animal. This is where monopods come in. With one leg instead of three, they won’t steady a camera on their own. They can, however, support its weight. While you won’t be shooting any long exposure images, your arms won’t die if you use a long lens for an afternoon. You just have to support your camera set up horizontally while the monopod supports it vertically. A monopod is also a lot quicker to reset. You can carry your camera and move about without having to readjust anything. This is why they’re so popular with sports and wildlife photographers. They can use heavy lenses for long periods of time and react to changing circumstance almost as fast as if they were just handholding their camera. Although monopods and tripods (bipods exist, but I’ve never seen one used for photography) are both camera support devices, they serve different roles. This means you’ve got to think about using each one differently. A monopod is meant to support the weight of your camera setup so that you can use it comfortably. It kind of defeats the purpose then if you’re picking your camera up to take images. For that reason, you should extend a monopod so that the camera sits at your eye level. This is a lot further than we’d generally recommend extending a tripod. Since monopods do very little to stabilize your camera, you’re unlikely to get sharp shots at slow shutter speeds. The usual advice—that you should use a minimum shutter speed of 1/[the focal length of the lens]—holds true. For example, if you’re using a 300mm lens, you should use a minimum shutter speed of 1/300th of a second. Note that this formula uses the effective focal length of your lens, so if you’re using a crop sensor camera you’ll need to multiply the focal length by the crop factor so that 300mm lens would be a 450mm lens (crop factor of 1.5x) on a Canon crop sensor camera. 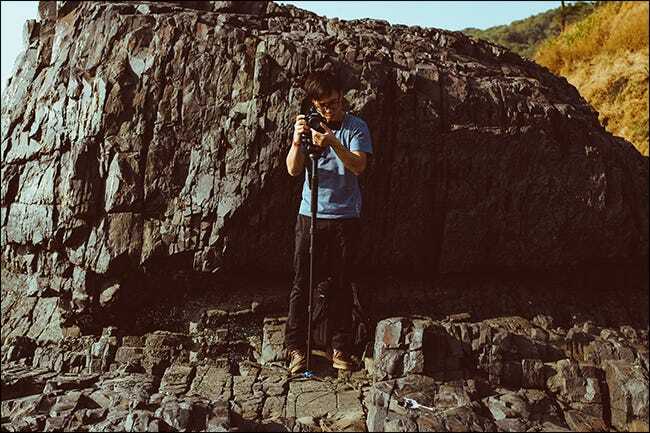 Monopods, like other professional-looking photography gear, can draw a lot of attention to yourself and may be banned in some public locations like museums. I know some photographers who’ve attempted to argue the point that a monopod is not a tripod with security guards. It’s not worth it. You can buy tripods where one leg converts into a monopod, like our pick for best travel tripod over on our sister site, Review Geek. This gives you the best of both worlds: a stable tripod with the flexibility of a monopod available when you need it. Monopods are another useful bit of gear for photographers but, unless you’re working with heavy lenses for long periods of time, you don’t need to rush out and buy one. Sports, wildlife, and sometimes wedding photographers, will get the most use. Image Credit: Thomas William on Unsplash.